Nina is a new modern fairytale fragrance aimed at younger audience. 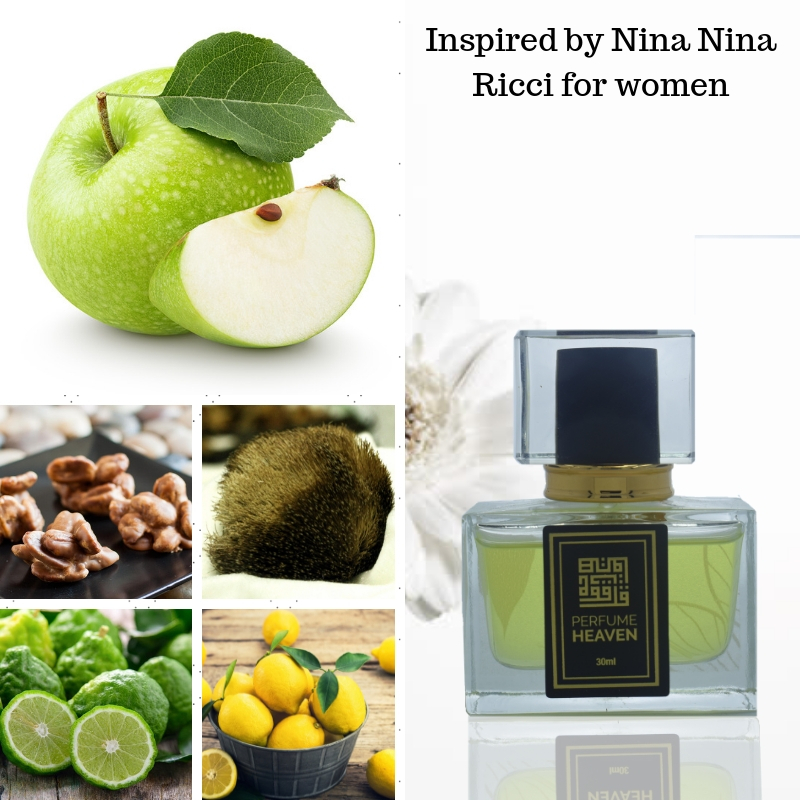 Nina is an elegant floral-fruity gourmand fragrance, the scent of candied fruits. The composition starts sparkly and spontaneous, just like a carefree laughter with the fresh citrus notes of lemon and lime. The sweet gourmand heart is juicy and caramelly due to candied apple, praline note and vanilla whose opulent veil wraps the softly sweet peony and the Moonflower. Finally the apple tree, white cedar and balmy musk notes are touching your skin with their warm and soft sensuality. The fragrance was created by Olivier Cresp and Jacques Cavallier in 2006. The new Nina fragrance has replaced the old one with the same name, created in 1987. Perfume rating: 3.83 out of 5 with 5008 votes.